tech. web development. pop culture. marketing. social media. gifs. Hello, my name is Farishta Haider. A Full-Stack Developer with a strong background in Marketing . A creative web developer on a journey down the code laden road. My passion to solve problems and take on new challenges are equipped with the thirst for knowledge and finding solutions in and outside of the box. My outgoing personality, experience and vast skillsets assist my adaptability on this exciting journey. Provided services for the Allegis Group’s over 10 family of companies. Worked collaboratively as part of a multi-faceted agile team including other developers, designers, videographers and management. Utilized Adobe Creative Suite for designing graphics, altering audio and videos for a multitude of platforms. Designed, developed and maintained interactive web pages to meet the varying needs of our clients. Ensuring pages are responsive and compatible in all major browsers. Designed and Developed dynamic eLearning solutions to educate internal audiences. Work closely with the Instructional Designers to ensure information is accurate and that their needs have been met. Created web-based training assets and courses that incorporated graphics, animations, videos, simulations, assessments, interactivity and games. Utilized development tools to create top-notch courses: Composica, Articulate 360 and Adobe Captivate. Developed and optimized new user-facing features. Built re-usable code and libraries for future use. Ensured technical feasibility of UI/UX designs. Optimizes applications for maximum speed and scalability. Setup and monitored analytic dashboards and supporting programs. Developed SEO strategies, implemented and monitored campaigns. Performed site analysis, keyword research, site mapping and assess link building opportunities. Developed, managed and grew the company’s social media platforms. Researched content for outbound social media posts. Created Social Content Database to optimally manage and organize the social program. Created graphics and designs for social media platforms and presentations. Maintained the company’s website; adding features to increase online engagement. Designed and programmed interactive gaming element for Fannie Mae event. Managed national event programs with our experiential marketing company. Activated 293 national events in 2013, 364 national events in 2014 with a 36% planned increase in 2015. 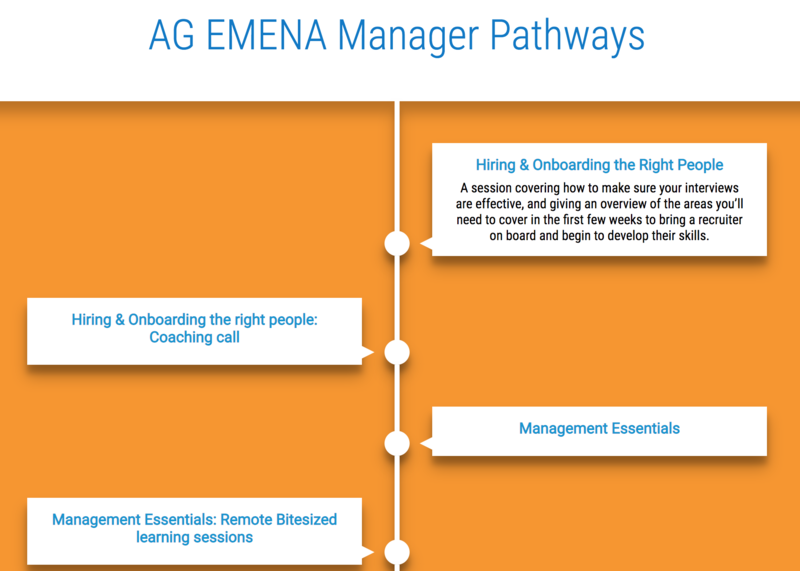 Developed and implemented strategic marketing plans for event marketing team. Planned, tracked and maintained $22+ million budget. Consistently improving budget spreadsheets to be a multi-functional tool. Led 20+ Regional Event Marketing Coordinators. Responsibilities included supporting teams with equipment, promotional products, event approval and event payment processing. Created and maintained lead analysis program to measure ROI of events. The key learning from analysis were used in planning and evaluation of marketing strategies and programs. Managed independent sponsorships such as Live Nation, Hershey Park, AZA, Merriweather Post Pavilion and more. Included negotiating contracts, creating marketing strategies, coordinating sponsorship with teams and facilitating support to ensure the success of the program. Managed promotional products for the event marketing teams. Ensuring GEICO has quality products as giveaways. Ordered over $2 million of products and maintaining online inventory. Collaborated in a team of three to run Summit’s largest account, GEICO. Managed 500+ items for GEICO’s two E-commerce stores, located in three different warehouses. Managed 100+ Independent GEICO Field Representatives with customization program. Brainstormed and produced product ideas for E-Commerce stores, Sales Contests and Custom programs. Provided Customer Service for GEICO’s two E-Commerce stores to all GEICO employees, Field Representatives and the general public. This was our first WDI project. We had a topic to choose from and were restricted from using jQuery. 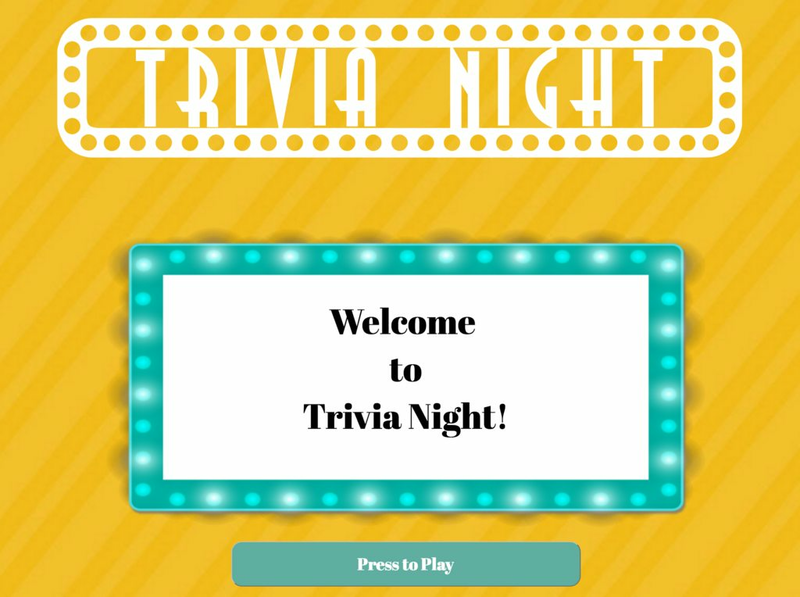 I chose Trivia because it was a fun game that I personally enjoy. 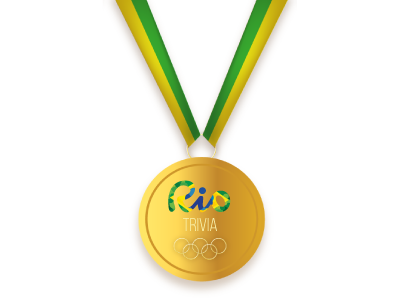 I have already made some updates since the project was completed but still would like to add a scoreboard and more dynanic notifiers when you get the questions correct or wrong. 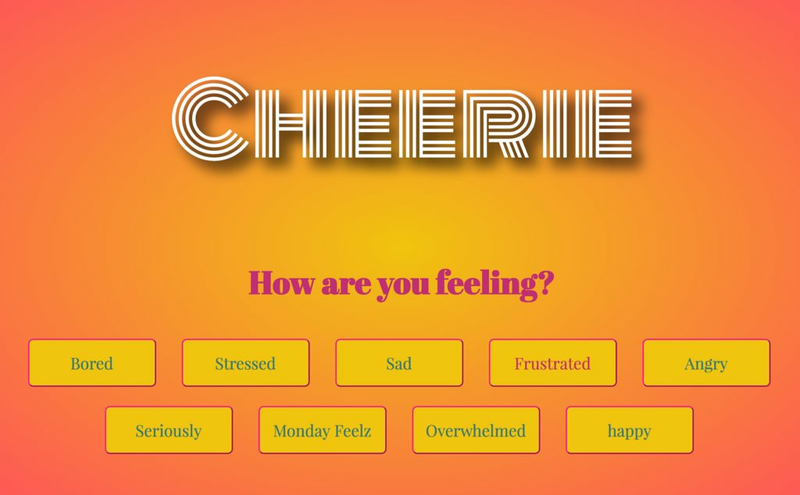 I chose this subject matter because I personally go to looks at gifs to cheer myself up and wanted to share this system to others to assist in turning their frowns upside down. 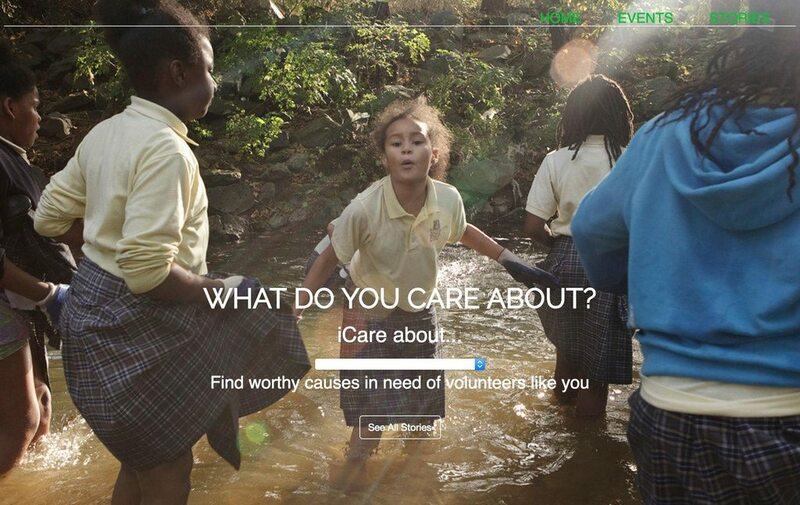 iCare is a web application that assists residents in the DC Metro area find volunteer events and share volunteer stories. iCare was created with a Ruby on Rails backend and AngularJS Frontend. This was a group project created by Alexa Klien, Brittany Branson and I. My contribtion to the project was the event portion of the site. 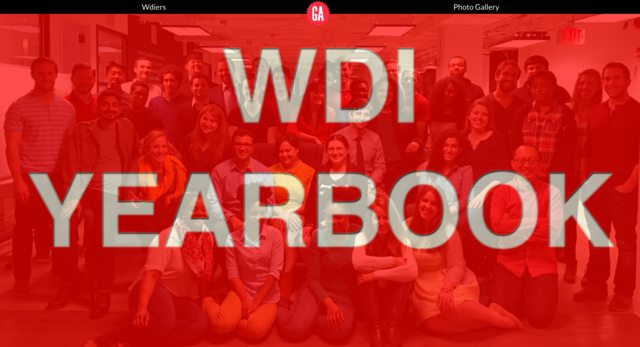 A yearbook for the Web Development Immersive Cohort 8. A project that was just for fun to share memories with our classmates. Written in Ruby on Rails..
My last major program at GEICO was a true labor of love. Being the lead of the project from conception to when it ended it's first season on tour. This acclaimed tour was so successful that GEICO ordered a second bus tour to be on the road the next tour season. Working hand in hand with RedPeg Marketing, we created a truly interactive experience. On entrance, we collected consumer data through a gas card giveway that they entered at our tabletop kiosks, then had a photo opportunity using our GEICO overlays with specialized characters, were entertained by our EMCEE on stage while they waited to enter the bus. Once on the GEICO bus, the consumer played GEICO pinball while waiting for their turn to sing and dance with the gecko in GEICO Karaoke. A full fan experience at the largest events on the East Coast. 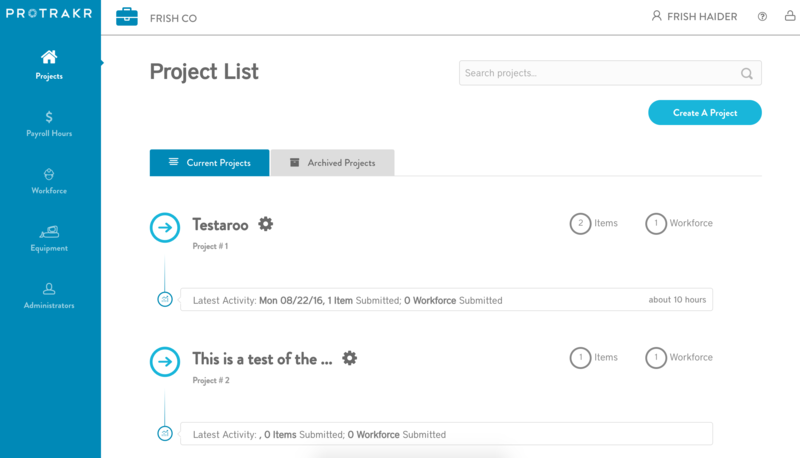 A project management application for construction projects. Written in Ruby on Rails and Haml. A drawing app written in React Redux. 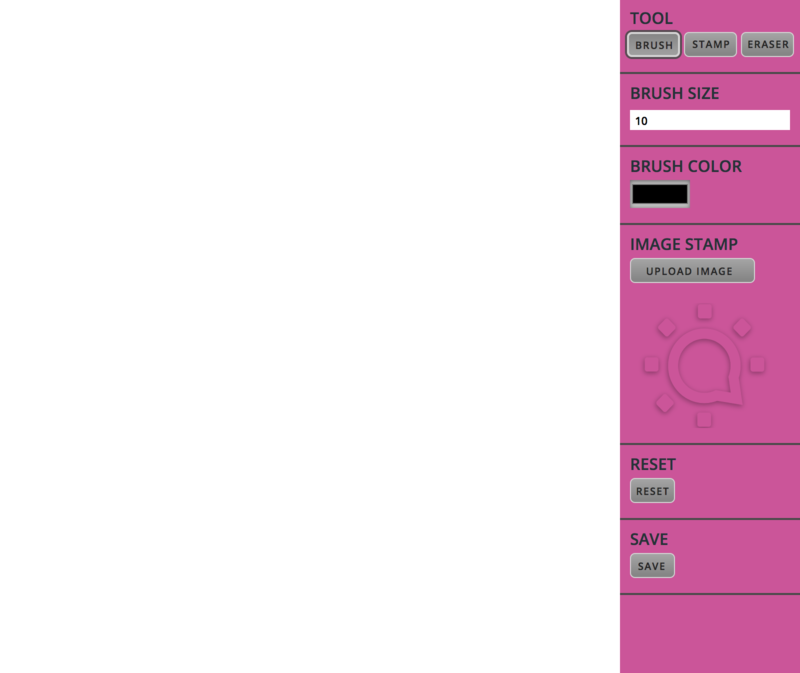 You are able to select 3 modes: Paint Mode, Image Stamp Mode and Eraser Mode. You are able to upload an image and stamp it onto the canvas. As well as reset the canvas or save your masterpeice to display at the Louvre. Next steps are to add Undo & Redo option, a canvas paint bucket mode, a text mode to write on the canvas and the ability to resize the stamp images. A informative page written in React. Based on the client's request and mock up. A timeline layout, with the funcationality to select the bulleted title and have the description appear. 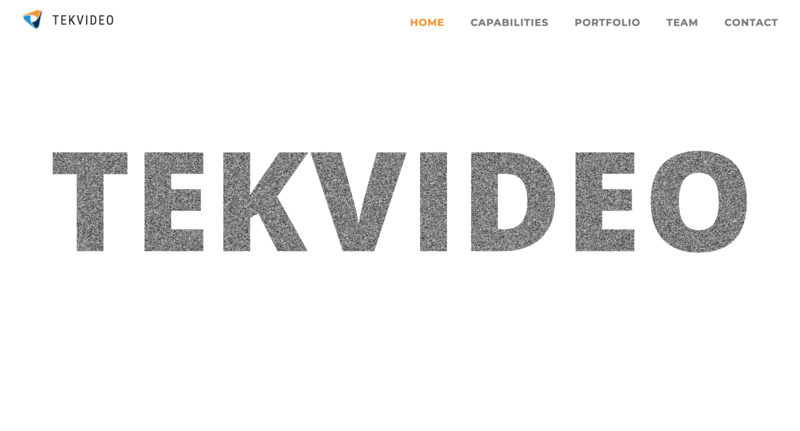 This was the first version of the website. The 2nd impletmentation of the site would direct users to the specific pathway. This page was created to show the ability of the TEKsystems Video Team and showcase some of their work. 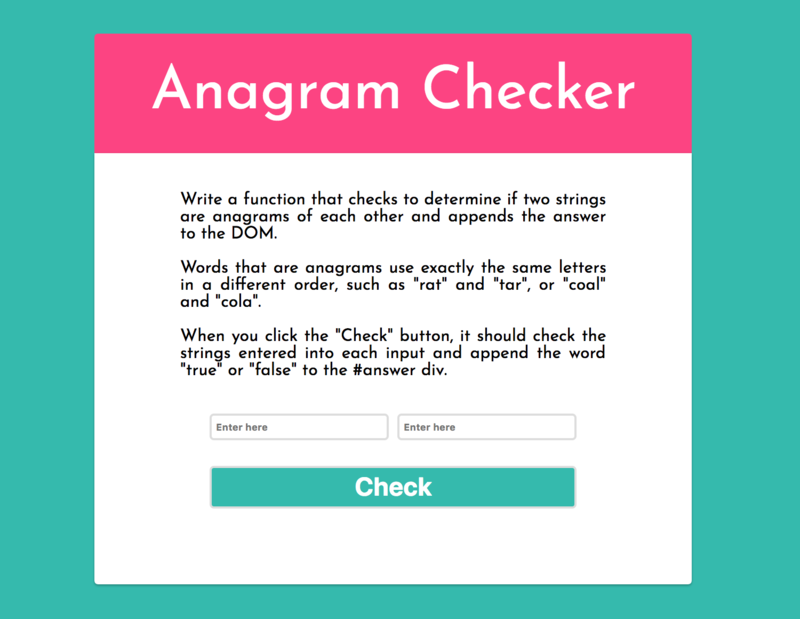 A code challenge to check if 2 words are an anagram. 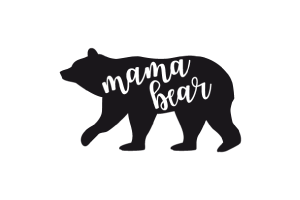 A SharePoint page written for a special mother program at TEKsystems. Social Media posts for Montage Marketing.